Large Kitchen Island, Pantry, Pool, Walk-In Closets, Wireless Internet. 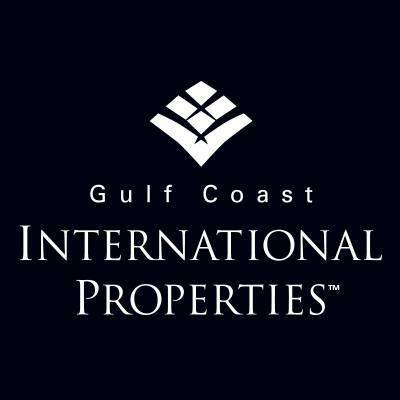 Central Air Conditioning, Cook Top Range, Dishwasher, Disposal, Dryer, Grill, Kitchen Island, Kitchen Sink, Microwave Oven, Oven, Refrigerator, Stainless Steel, Washer & Dryer. Air Conditioning, Audio-Video Wiring, Cathedral/Vaulted/Trey Ceiling, Decorative Lighting, Elevator, Floor to Ceiling Windows, French Doors, Kitchen Island, Loft, Quartz Counter Tops, Security System, Smoke Alarm, Solid Wood Cabinets, Solid Wood Doors, Stone Counters, Surround Sound Wiring, Walk-In Closet, Washer and dryer, Wood Ceilings, Woodwork. Foyer, Guest Room, Inside Laundry, Living Room, Living/Dining Combo, Loft, Storage Room, Walk-In Pantry. Balcony, Barbecue, Lawn Sprinkler, Outdoor Living Space, Patio, Sprinkler, Sunny Area(s), Swimming. City View, Garden View, Scenic View, South, Swimming Pool View, Trees, View, Water View. 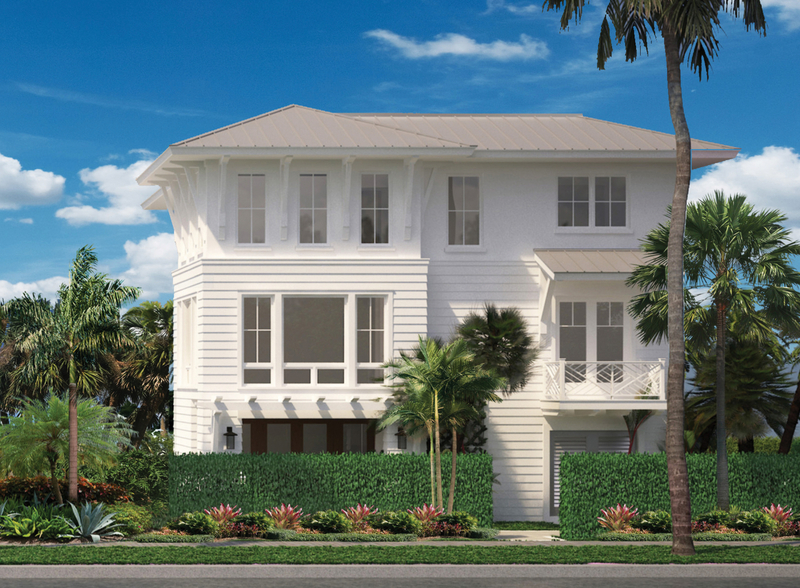 A few blocks from the beach, in the heart of historic Old Naples, sits an idyllic coastal cottage retreat. Timeless, tranquil neutral hues and bright, clean backgrounds throughout the interior are balanced by warm, coastal textures and finishes, evoking classic cottage character with contemporary charm. 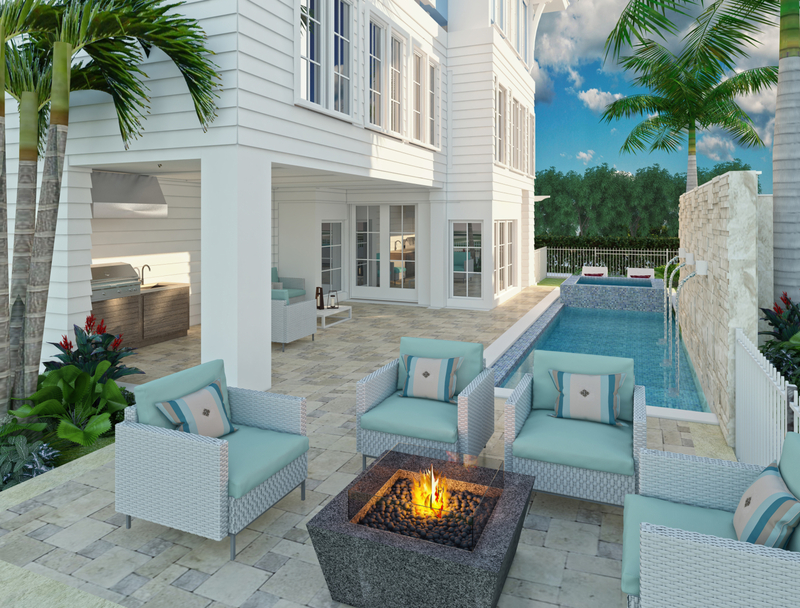 Featuring an Old Florida cottage exterior, the home will include floor to ceiling glass facing rear to the outdoor areas off the great room, creating cohesive continuity from the exterior into the interior. 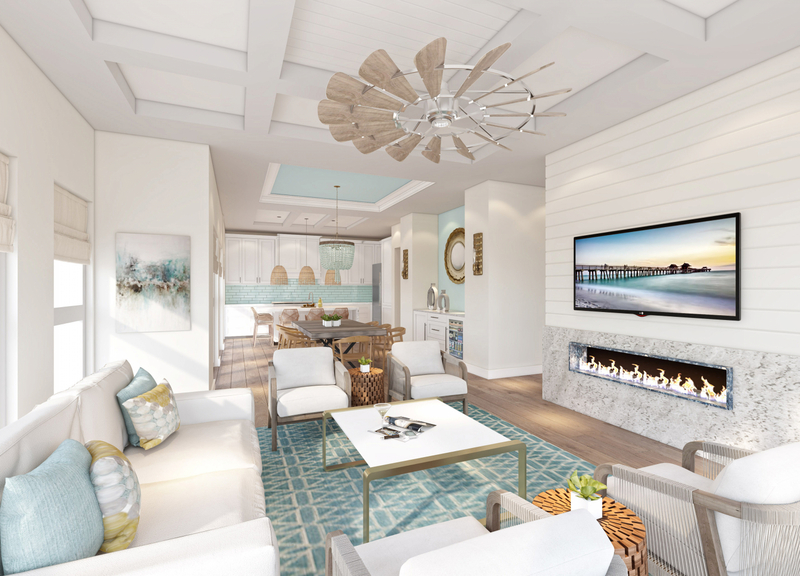 An exceptional collaboration of MHK Architecture, BCB Homes, and Koastal Design Group, this modernized beach cottage oasis is an epic embodiment of Naples luxury lifestyle living. A short stroll to the famed shopping and dining of 5th Ave. South, and the world-class boating of Naples Bay.